Barbara L. Albert – (68) – of 16 ½ Main St., Almond, NY, formerly of 9255 County Route 15B, Canaseraga, NY (Town of Birdsall), died Saturday afternoon (August 11, 2018) at St. James Mercy Hospital, following a long illness. Born in Hornell on March 20, 1950, she was the daughter of Louis & Marian (Nicholson) Albert. Barb lived in the Almond area until she was about six years old when her family moved to Ohio. The Albert family lived in Ohio for 10 years, moving to California in 1966. She was a graduate of Montclair High School in Montclair, CA (class of 1968) and later received her Bachelor’s Degree in Communications from Cal State Fullerton in 1974. Following graduation, Barb worked for several television stations in California and Alaska. She then joined VISTA where she assisted villagers in Alaska. She also worked several years on floating fish processors in the Bering Sea and Alaskan coastal waters. In 1985 Barbara enlisted in the US Navy where she served her country for 6 years. While in the Navy, she achieved the rank of OTA 2nd. She was honorably discharged in 1990. Following her discharge from the Navy, Barb moved back to the Birdsall area where she has resided since that time. She was employed for a time as a staff reporter for the Hornell Evening Tribune and also WLEA Radio Station. 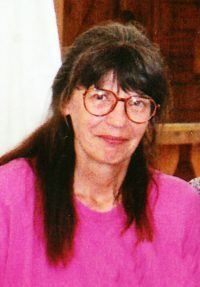 For over 20 years, Barb was employed as a Postal Clerk for the US Postal Service in several locations, including Jamestown, Belfast and Bath, retiring in January, 2013. Barbara was an active communicant of St. Mary’s Church in Canaseraga where she was a member of the Music Ministry. More recently, she was a communicant of St. Brendan’s & St. Jude Parish. She was also a member of the Canaseraga American Legion. Barb had a deep love of all sports and will be remembered as a die-hard New York Yankee Fan. She will also be remembered for her generosity toward those in need; her deeply held religious faith; her contemplative nature; and her innate ability to see all sides of an issue. Along with her parents, she was preceded in death by her brother, David Albert; 2 sisters, Marianne Sivertsen and Virginia Guyton; her brother-in-law, John Guyton. Surviving are 3 sisters, Patty (Jonathan Sulyma) Lupo of Almond, Eileen (Glenn) Pennington of Lexington, NC and Rita Nicholson of Kalispell, MT; along with many nieces & nephews. At Barbara’s request there will be no calling hours. A Memorial Mass will be celebrated on Saturday at 10:00 AM at St. Mary’s Church in Canaseraga. A “Celebration of Life” will follow in the Fellowship Hall of the church where family & friends can share stories of Barbara. Burial with full military honors will be in Woodlawn Cemetery, Almond. Arrangements are in care of the Dagon Funeral Home, 38 Church St., Hornell, NY. Barbara’s family request that in lieu of flowers, memorial contributions in her name be made to St. Mary’s Church, 6 North Street, Canaseraga, NY 14822 or to Immaculate Conception School, 24 Maple Avenue, Wellsville, NY 14895.